We are the proud team of dedicated Muslims who established Muslim Matrimonial agency online in 2007 with domain name MarryMeCity.com. Today we have over 46,000 members from all over the world. This noble matrimonial project began in October 2007, with support of international advisers, sponsors, translators, journalists, IT-developers, graphic designers and volunteers from different countries, including UAE, Canada, South Africa, India, Egypt, Russia & Kazakhstan. Matchmaking services and website support are conducted mostly by our Muslim sisters who are both reverts, from Russia originally (Siberia and Moscow), married to foreign men and live abroad with their families. There are number of freelances who also help our project to grow. The co-founder of MarryMeCity.com shares her story. 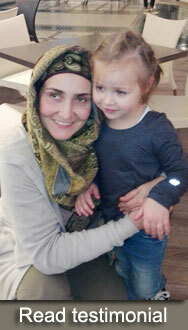 “I know from my own experience how it is DIFFICULT to find suitable muslim husband in former USSR. Especially for reverts and for those muslim ladies who are not fluent in English. So it was my dream to help our Muslim sisters to fulfil their goal, to accomplish half of their Imaan – NIKAAH, to find right life partner and to build happy Muslim family. During these years we had to overcome numerous challenges, including technical issues, language issues. We had to learn (and continue to find & discover the best possible methods) different ways to keep our marriage site authentic and clean from scammers. Alhamdulillah, some of our members helped us quite a few time by reporting someone whom they consider to be suspicious. One can’t imagine how much time requires to run fully active marriage site – not just activation of newly registered, checking and optimizing photos, manual approval of each and every profile that been updated, each and new photo. To filter all suspicious profiles, answer to numerous questions, restore login and password (not many members know how to restore password automatically). Moreover, our support team even provide psychological assistance to those who are depressed, heart-broken etc, to those who came to our site as to a last resort. We try to find time and correct word for each and everyone who is serious. For the last 7 years we provide personal matchmaking services and can proudly say that we helped many people, around the globe. Some of them we know personally, for example recently we met two couples who found each other in our site via our personal support and they already have 2 children (each couple has girl and boy). There are many couples with 1 kid. Geography of testimonial success stories is surprising: ladies from Russia, Kazakhstan, Uzbekistan, Azerbadjan, Ukraine got married to men from Canada, India, Pakistan, USA, Egypt, Saudi Arabia, South Africa, UK, UAE, Nigeria – we name just a few, from the latest success stories. While there are many people who just asked to remove their profiles because they found their life-partner, very thankful to our marriage site but prefer to keep anonymous. The best way to find life partner is to use VIP matchmaking services >.